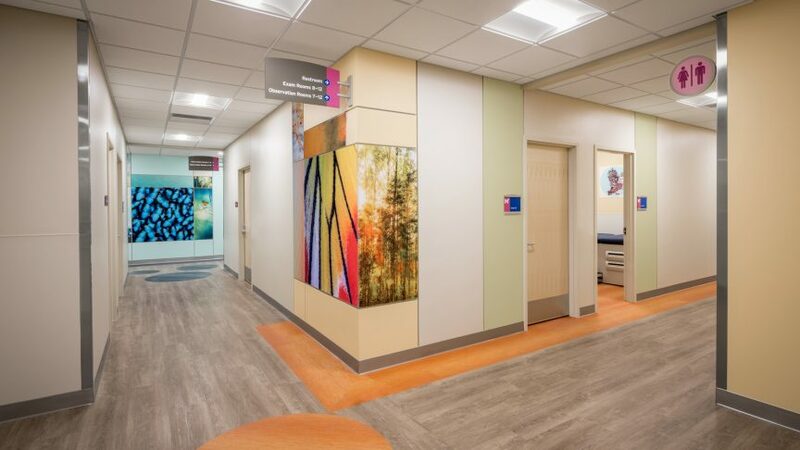 The Allergy & Immunology Center is known for providing the most food/drug challenge spaces in the region and is the first to offer a specific design typology to support the challenge treatment service for children. 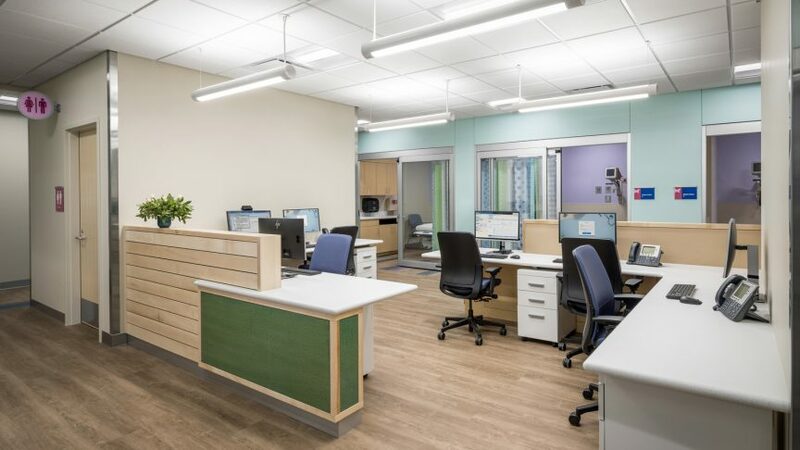 It was adapted from a layout similar to the observation bays found in PACU recovery, using a centralized open nurse station to support staff collaboration and immediate proximity to patient bays with unencumbered visible and audible patient surveillance. 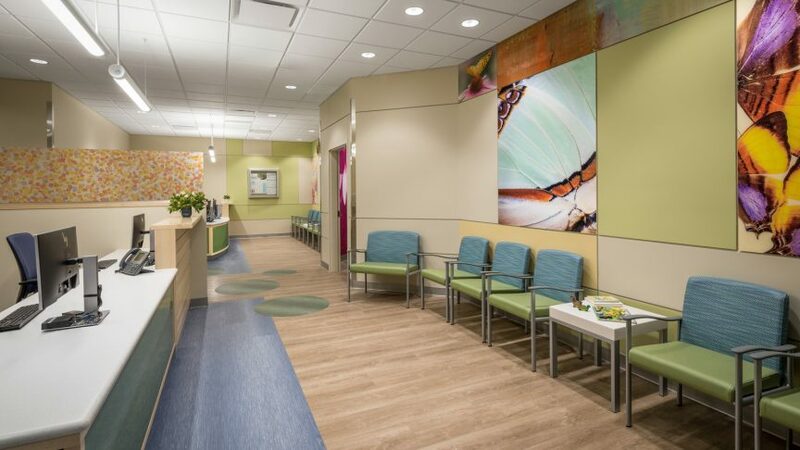 The intent behind this project unifies all allergy services into one location and provides the opportunity to expand patient volume. 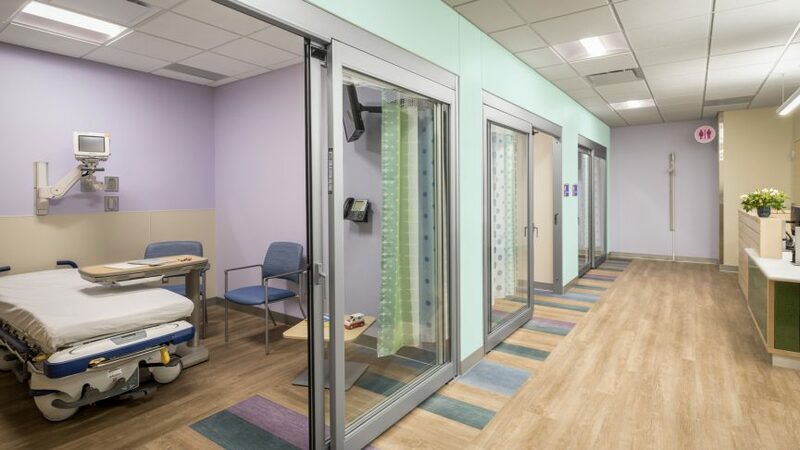 Even with limited existing shell space, we managed to include 12 exam rooms, three shots/infusion bays, and 12 challenge rooms. The shot observation area is designed for fast-track care and is located adjacent to the suite entry and check-in to provide quick access. Previously disparate groups now share resources, work together and are more fully integrated in comprehensive care for patients. 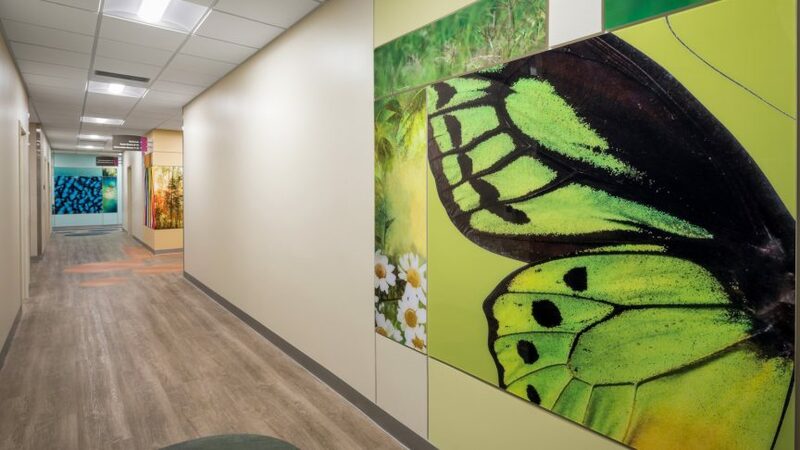 "I spy" graphics in exam rooms provide entertainment for patients during long appointment visits, and large-scale color photography is used to create a dynamic and energetic feel throughout the clinic.